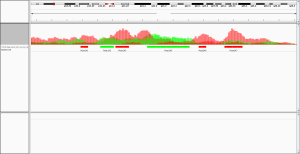 THOR is an HMM-based approach to detect and analyze differential peaks in two sets of ChIP-seq data from distinct biological conditions with replicates. THOR performs genomic signal processing, peak calling and p-value calculation in an integrated framework. Allhoff, M., Sere K., Freitas, J., Zenke, M., Costa, I.G. (2016), Differential Peak Calling of ChIP-seq Signals with Replicates with THOR, Nucleic Acids Research, epub gkw680 [paper][supp]. If you have followed the generic instructions for the RGT suite installation, then you can start using THOR. Important: THOR uses wigToBigWig, bedGraphToBigWig and bigWigMerge from the UCSC utilities website to handle BigWig files. THOR therefore automatically copies these tools in your bin directory. Note: The tools THOR copies are for 64bit linux system or macsOS. If you have another system (32bit), please copy the appropriate binaries by yourself and make sure that they are contained in your $PATH variable. 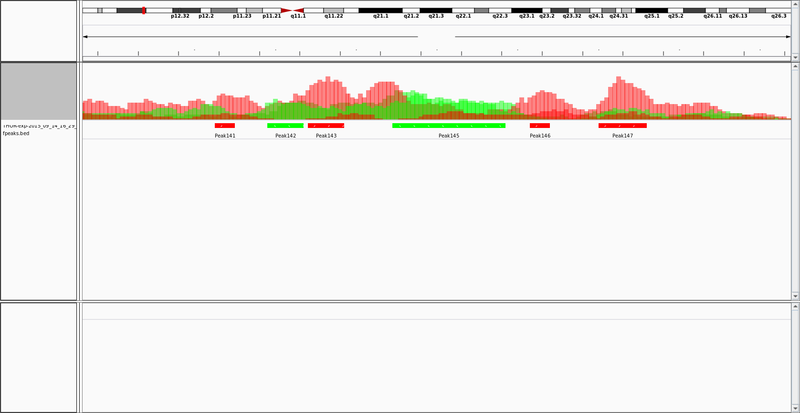 You can find here example files containing reads aligned to selected genomic regions from a B Cell lymphoma study. These files are from two donors with follicular lymphoma (FL) and two control samples (CC). We are interested in the differential peaks between the biological conditions FL and CC. The files are based on our experiment LYMP-FL-CC described in our paper. The file hg19.chrom.sizes is contained in the example files as well. It is a tab limited file with the chromosome name and the chromosome size. See here how to get the chromosome sizes for further organisms. In the config file, we can also incorporate the genome (with header #genome) and control input-DNA files (with headers #inputs1 and #inputs2). This improves the accuracy of the differential peak estimates. See here for a more advanced example. THOR creates several files. If we do not specify anything, THOR uses THOR-exp-<date> as experiment name by default. THOR-exp-<date>-diffpeaks.narrowPeak differential peaks in narrowPeak format. Please, see here for a more detailed description of the output, in particular of the *setup.info, *bed and *narrowPeak file.